Acting as a genuine night cocoon, Cattier Organic Renewing Night Cream "Songe Fleuri", with its rich and melting texture, produces a sensation of absolute comfort as soon as it is applied. Combined with nourishing repairing organic shea butter, Hydracire S a complex of vegetable waxes prevents dryness and provides softness and protection. Phospholipids, moisturizing and regenerating active ingredients with perfect skin affinity, reinforce the skin barrier and provides optimal hydration to skin. 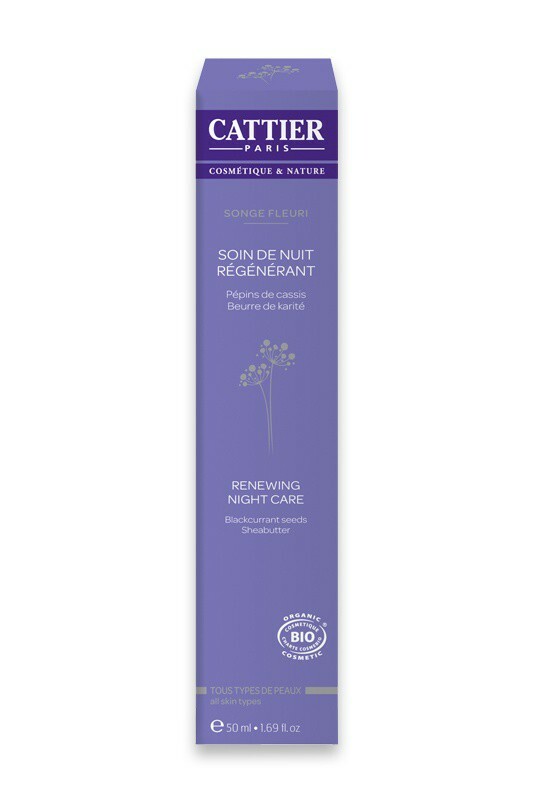 The skin is thus nourished in-depth and hydration* is optimised when using daily Cattier Organic Renewing Night Cream "Songe Fleuri". Organic blackcurrant seed extract, enriched with omega 3 and 6 and vitamin E, helps to rebalance and replenish the skin. 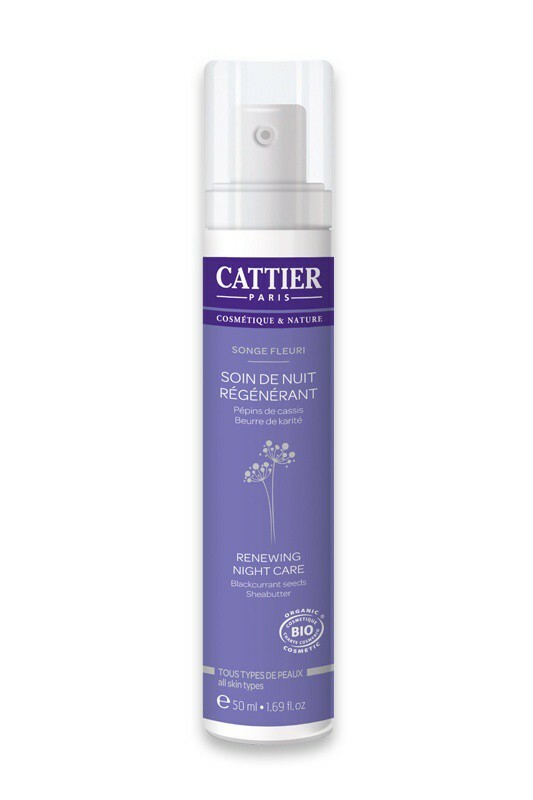 Every evening, after having thoroughly cleansed and dried the skin, apply a measure of Cattier Organic Renewing Night Cream "Songe Fleuri" all over the face, throat and décolleté. In the morning, the skin is radiant, velvety and renewed. Phospholipides, Squalane, Jojoba, Mimosa and Sunflower waxes, Organic Aloe Vera Extract, Organic Shea Butter, Blackcurrant Seed Extract, Organic Sunflower Oil.